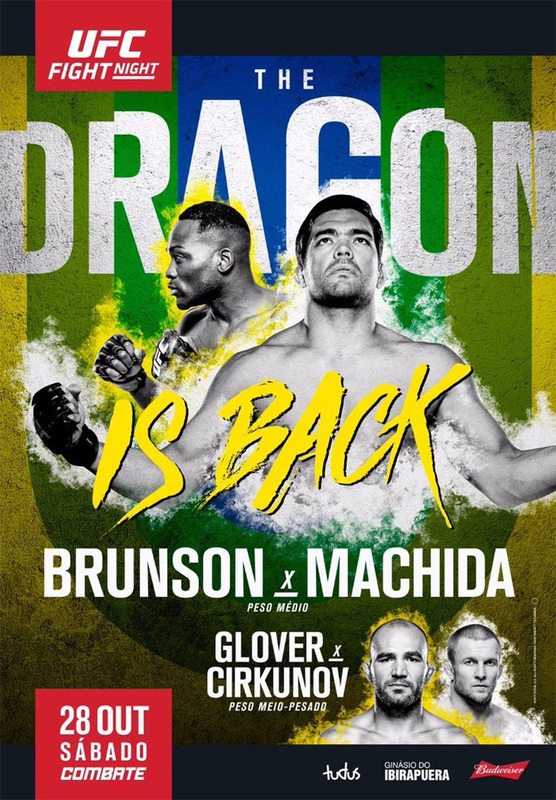 “UFC Fight Night 119: Machida vs. Brunson” takes place Saturday night inside Ibirapuera Gymnasium in Sao Paulo, Brazil. UFC Fight Pass streams the first preliminary bouts live starting at 7PM ET/4PM PT. Fox Sports 2 airs the remaining prelims at 8PM ET/5PM PT. The main card begins immediately after on Fox Sports 1 at 10PM ET/7PM PT. A middleweight tilt between Derek Brunson and Lyoto Machida headlines the show. Machida is fresh off an 18-month PED suspension. Brunson, meanwhile, collected a much needed win over Daniel Kelly in June after dropping two straight scraps. Welterweights Colby Covington and Demian Maia serve as the co-main attraction.